Ooh-la-la! 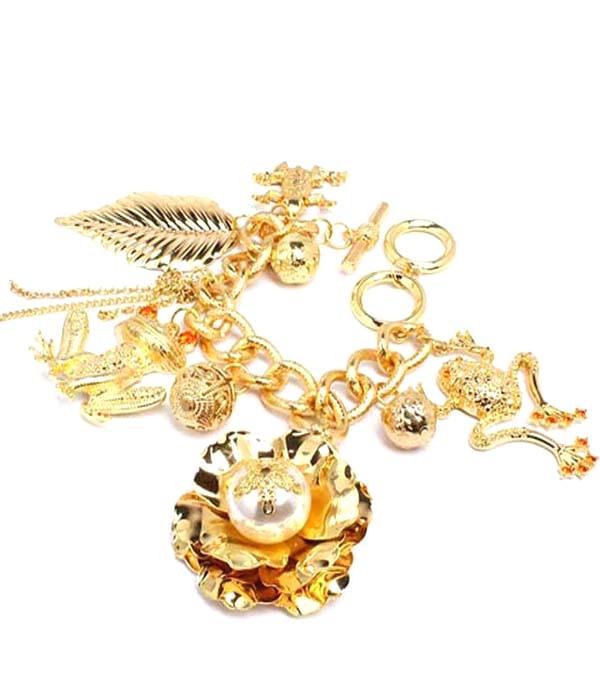 The Reese charm bracelet glistens in bright gold-plating, featuring a toggled cable link chain adorned with an eclectic mix of charms inspired by nature. Bedazzle your wrist and add an element of fun to your ensemble. Add a touch of something special when you add this piece of costume jewellery to your favorite outfit.